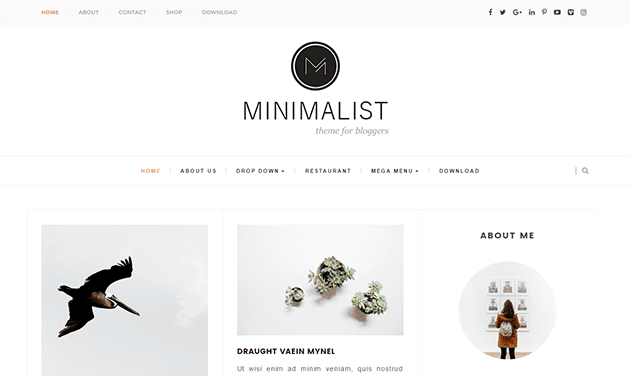 Minimalist is a clean and Responsive Blogger Template which provides awesome Masonry Style Grid based design. It’s very quick to load, and has a pleasingly clean and minimal look that’s ideal for Blog or Magazine. This is a Perfect choice for your Personal blog, Fashion blog, OOTD blog, authority blog or any type of creative blog or simple magazine. It has a fully responsive design, which will be displayed your blog beautifully on all mobile devices.By this Template you can create your own blog very easily. Its Comes with two style - with slider and with carousel . We wrote a very detail and clear guide to help you easy work with Minimalist Clean Responsive Blogger Template. But if you have any questions, please feel free to ask on our comment system, we’ll answer your questions immediately if you have same GMT with me (GMT +5.30).